Sometimes it appears to me that the rising tide of craft beer has helped float an increasing variety of boats. By that, I mean we continue to see a proliferation of new and creative styles, to go with the reappearance of long-forgotten ones. Mead might well be part of that. 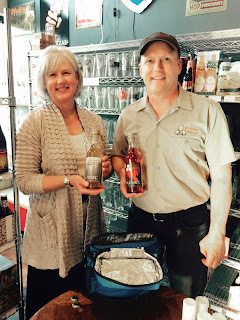 On my Thursday evening beer tasting stop I ran into the folks from Ethereal Meads at Belmont Station. They were doing a tasting of their two current meads, Autumn Mist and Ruby Sunset. It was great spending a few minutes talking to Meadmaster, Gary Gross, and his wife, Shirley. 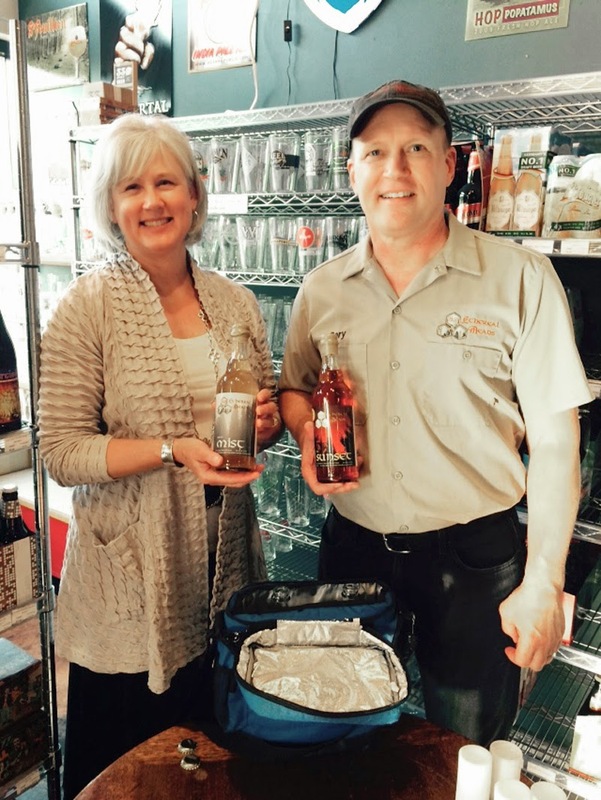 Ethereal is located in rural Battle Ground, where Gary has been tinkering with and refining his mead making processes for a number of years. Friends and acquaintances who sampled his creations eventually suggested he sell the stuff. Then he won a gold medal for one of his meads in an international competition. He took the plunge. Autumn Mist and Ruby Sunset are available by the 500 ml bottle and also on tap here and there around the area. You can buy it here and drink it here, according to the Ethereal website. Container fills are available by appointment...contact info is on the website. In the tasting, I preferred Autumn Mist, which is a brilliant golden color. It contains apple juice and some subtle spices and is nicely balanced. The award-winning Ruby Sunset is darker in color and utilizes cranberries to balance the sweetness provided by the honey and strawberries. Ruby Sunset is good, but a little sweet for my taste. Mead is something of an enigma, I think. It's one of the oldest alcoholic drinks, yet has a small following. A former work colleague of mine made a pretty good mead...I have no idea how. Too many commercial meads are cloyingly sweet and not what I'm looking for. Autumn Mist is decidedly different. It's reminiscent of a dry cider or a drier white wine. Opinions will obviously differ. There are probably a lot of ways Gross can go with his meads. He talked about experimenting with dry-hopping, barrel-aging and other approaches that might produce interesting results. He doesn't seem to be in a big hurry to rock the boat because what he has is pretty good. His main focus for now is increasing production and building a larger following. Expanding will be done carefully while staying committed to quality and local ingredients. Fresh fruit is easy to come by and the honey is sourced in the Willamette Valley. Sustainable farming and beekeeping are important concepts, and Ethereal supports organizations that work to protect the environment. Of course, most of the real work involved in making mead is done by bees. Gross buys honey in 50 gallon drums and says it takes the life's work of 86 bees to produce a 6 ounce glass of mead. 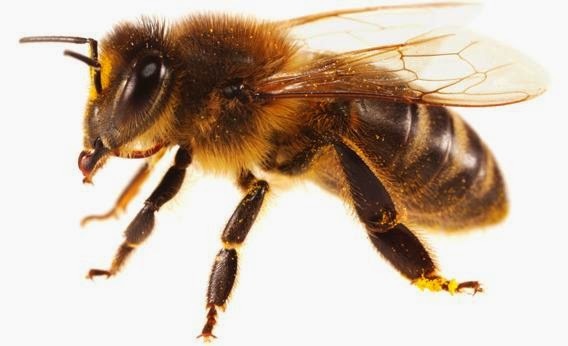 Each of those bees evidently flies 100 miles or more in search of nectar during its life. And some people say you can't learn anything on beer tasting junkets.